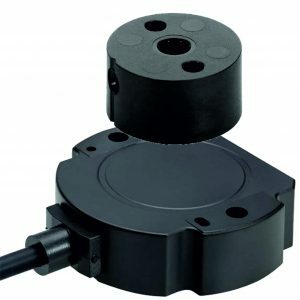 The Rotary Touchless Sensor is used to detect the angle or speed of system which correspondence to the rotary motion of the Shaft holder Over the sensor head In built Signal conditioner facility makes it a unique product in the market. Since the Product is based on Contactless Magnetic effect Technology it has very long life. For modern microcontrollers AHS-Rf is capable to give output in 0 to 3.3Vdc,0-5Vdc, 0-10Vdc, 4-20mA, Quadrature, SPI, I2C, PPR and PWM output version is available. Two major points needs to be taken into consideration while mounting AHS-Rf. 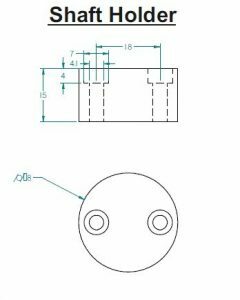 The co eccentricity of motion of shaft holder over sensor head as per the marking. This determines maximum linearity and performance of the sensor. 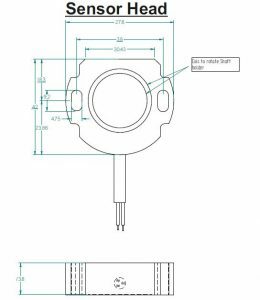 The Air gap between the Shaft holder and sensor head needs to be stricly mainted to 1.5mm to have best linearity. Sensor will perform upto 5mm gap. For longer airgap please contact us. The RTS-Rf-635I2C is a Absolute encoder which acts as a slave and communicate with master micro controller as per the standard Protocol of I2C. It is also known as Two Wire Communication. RTS-Rf-635I2C communicate in 8 Bit of Transmission. 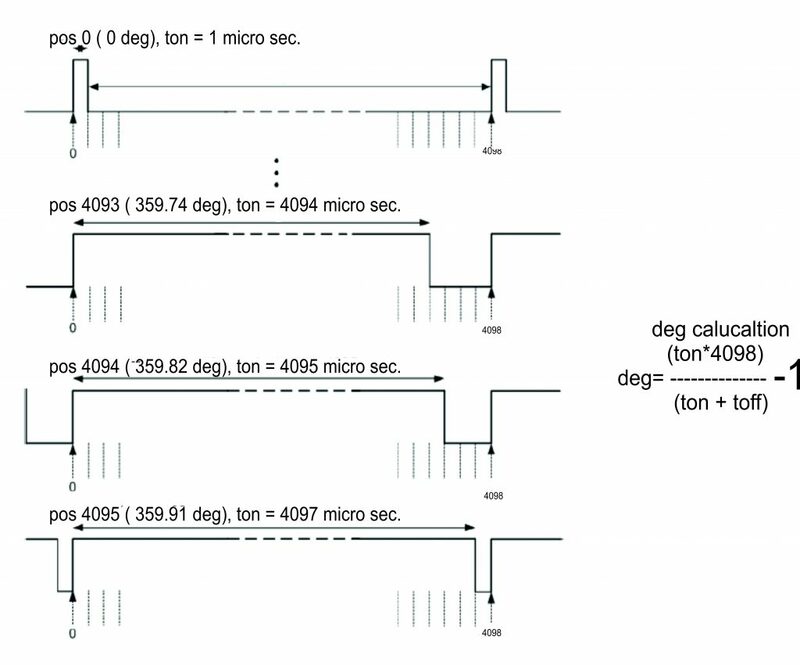 As per standard Protocol each slave (RTS-Rf-635I2C) has a Slave address of 7 bit which is being made of two Address Pin 1 and 2 while the remaining 4 bits are always 0 and MSB being 1. Address pin 1 and 2 are Least significant bit of Address. Hence we can use maximum of 4 such sensors in a Daisy chain mode of communication with slave address as 1000001 / 1000000 / 1000011 / 1000010. RTS-Rf-635I2C has a provision of Dual Output first I2C communication and PWM mode of communication 14 Bit and 12 Bit of Resolution respectively. RTS-Rf-635I2C communicates the angle information in two cycles. By sending the register address 254 and 255. To have the complete angle information we need to eliminate two most significant bit (6 and 7) of the data byte we receive after sending register address 255. The RTS-Rf-635SPI is a Absolute encoder which acts as a slave and communicate with master micro controller as per the standard Protocol of SPI. RTS-Rf-635SPI communicate in 16 Bit of Transmission. As per standard protocol of SPI RTS-Rf-635SPI communicate with master protocol when the MOSI pin is active high or 3FFF hex data is sent on the bus and the CS pin need to toggle from low to high for only one clock pulse. 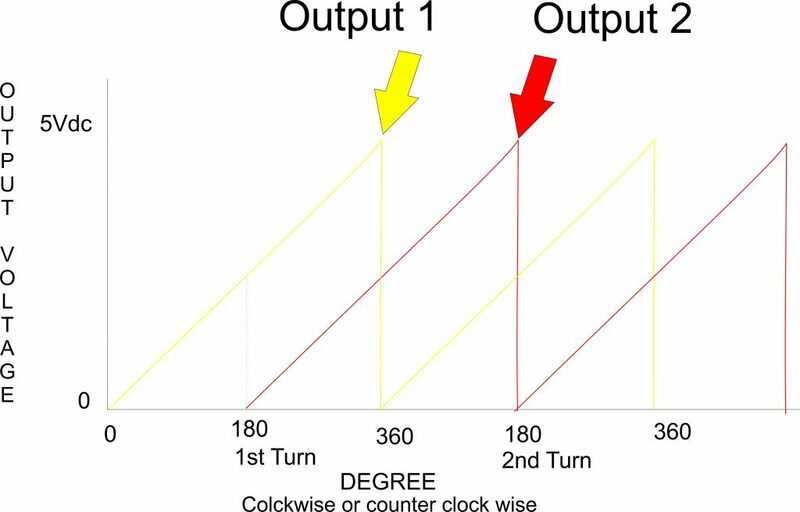 After each cycle of communication it is compulsory to toggle CS pin from high to low. RTS-Rf-635SPI has a provision of Dual Output first SPI communication and PWM mode of communication 14 Bit and 12 Bit of Resolution respectively.